Baking and Cooking, A Tale of Two Loves: Finally The Bridal Tea Shower, and Goodies Too Numerous to Mention! Finally The Bridal Tea Shower, and Goodies Too Numerous to Mention! The shower was a huge a success, a lot of work, but so worth it. My friend Barb, the groom's Godmother and I, were able to coordinate the Bride's colors, mango and metallic, into all phases of the shower, favors, table settings, and even the cupcakes. We wanted to make everything very special. 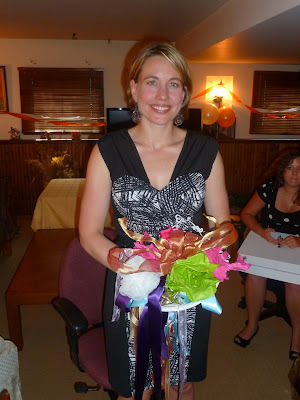 Here is our bride-to be, Cherise with her "bouquet". My grandaughter is in the backround. We had a sweet table instead of a cake and the bride chose the cupcakes. 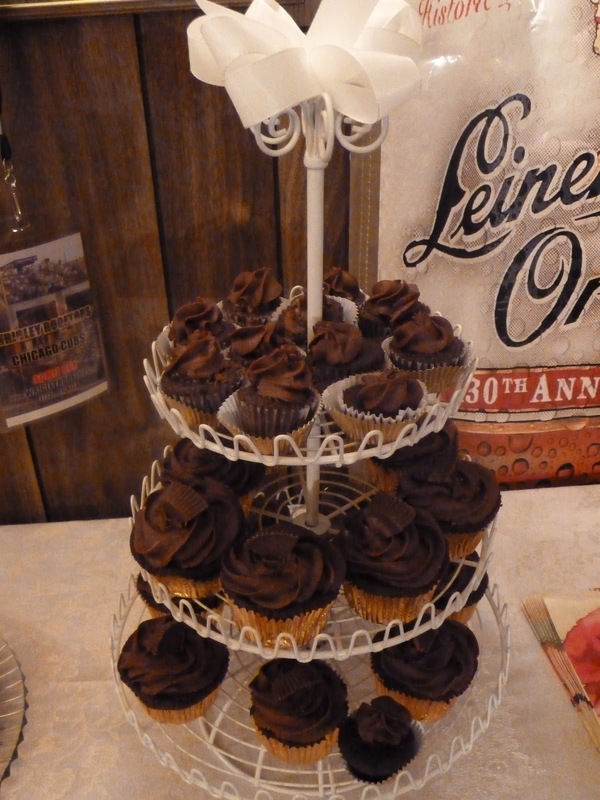 Cherise's favorite cupcakes are the Chocolate Cupcakes with Peanut Butter Filling and Chocolate Butter Cream Frosting, so they were the signature cupcake. 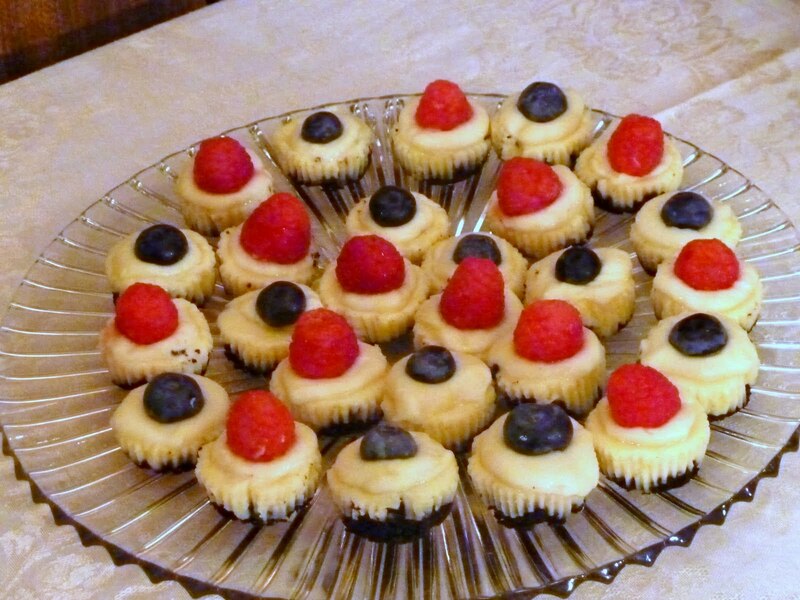 Then she chose the Champagne Cupcakes, which I had made for their engagement. The last cupcake that Cherise chose was the Key Lime Cupcake with Lime Cream Cheese Frosting on the top plate. Recipe to be posted soon. 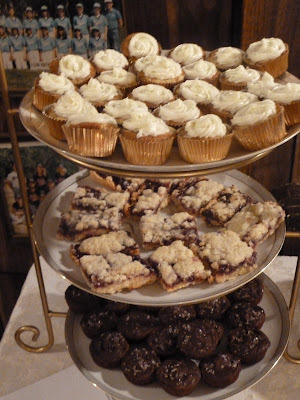 I rounded out the dessert table with Raspberry Bars on the second plate, and Nutella Fudge Brownie Bites on the bottom plate. The last dessert item was Lizzy@That Skinny Chick Can Bake Mini White Chocolate Cheesecakes, which were wonderful, putzy, but wonderful. Yes, we did have other food, however I didn't get good pictures of the food. I didn't designate a photographer, because it wan't on my list. 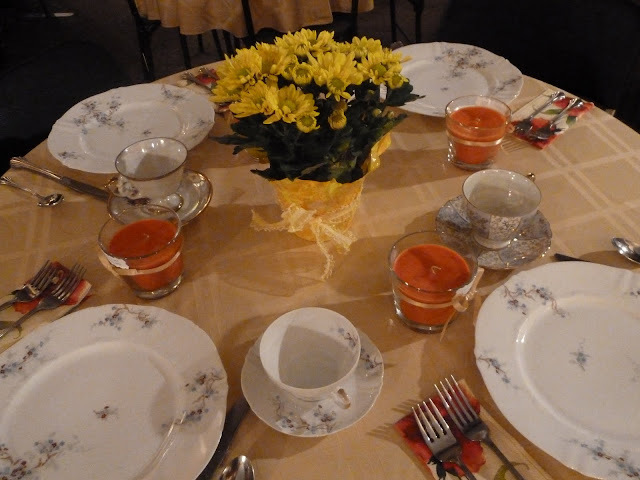 I took pictures of the sweet table, before the guests arrived, so that's why I have them. Here is the rest of the menu. I will post recipes for some of the food soon. The photos are great! Everything tasted even better than it looks--how can that be? It was a wonderful shower and I was honored to be there. 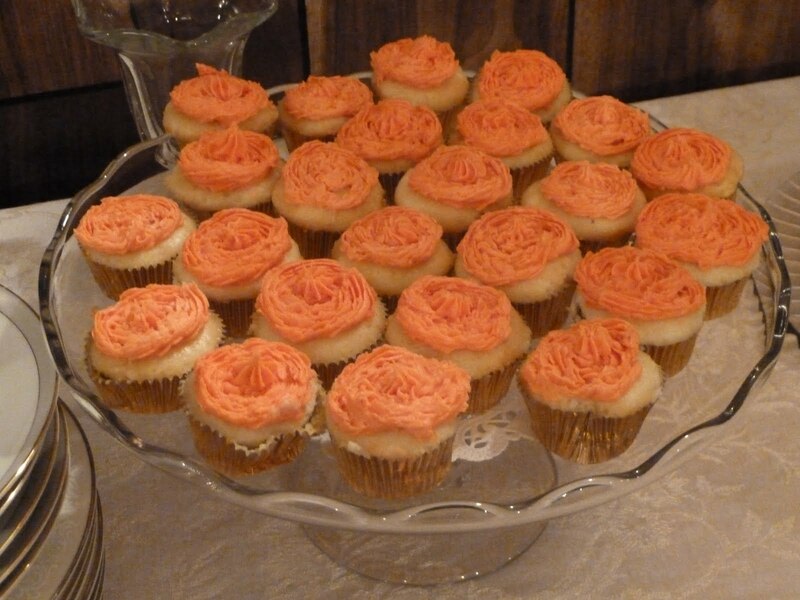 a perfect addition to the sweet table and got rave reviews. 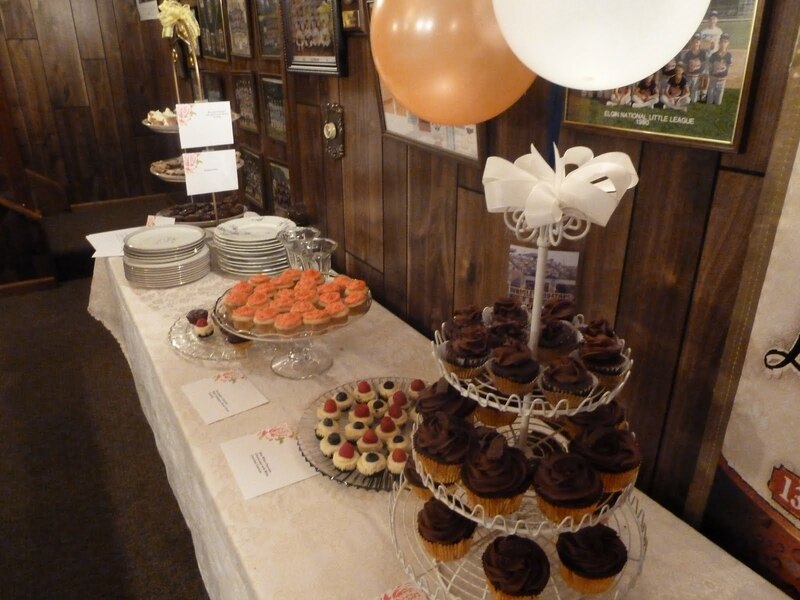 Becky, So much love and thought went into the dessert table and preparations for this special occasion...good on you for getting these wonderful shots of the treats before they were devoured! Thank you for sharing this moment and we'll be looking for the recipes to come. What a beautiful bride-to-be! And WOW that sweet table looks amazing! Everything looks so beautiful. I sure it was a special day for everyone. Brooks-Thank you for your kind words. We wanted to make the day very special. Jill- She is a beautiful bride-to-be, but I'm prejudices. she will be marrying my son:) It was a beautiful shower. What a great dessert table! You really went all out and I am sure everyone enjoyed it. A lovely memory for your future daughter in law- now she knows how awesome you are in the kitchen. Yum! Wonderful dessert roundup. Nice photos. I would have came just for the desserts, I bet you are so excited. Tina- thank you for your sweet words. A lot of love went into the sweet table. Christine- thank you for your kind words. Gina- I was stressed out and pleased at how well everything turned out. Everything looks fantastic..Love the menu! Sandra- Thank you for your sweet words. Sounds like you had a wonderful shower! Your future Daughter in Law is so blessed! What a great shower! Love the pics and the menu!